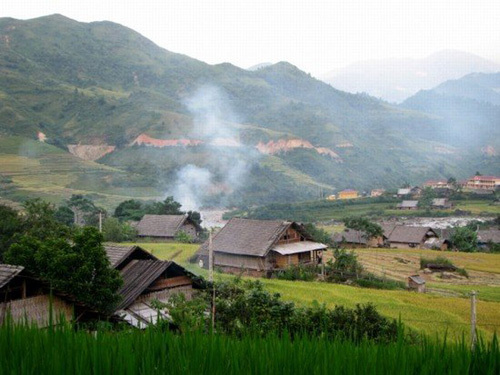 Ban Ho Village, Vietnamese Australian Tran Han expressed his excitement when he walked out of the Lavie Stream in the scenic village Ban Ho, more than 26 kilometers away from the famous resort town of Sapa. Han said swimming in the Lavie was one of many unforgettable memories of his trip to Northern Vietnam earlier this year, as the water was fresh and clean in the stream which ran from rocks and hills where a few minority groups live. Young citizens of Lao Cai Province Vietnam and foreign tourists often trek to Ban Ho to indulge in the pristine Lavie Stream, enjoy the sweet sound of running water from the Ca Nhay Waterfalls and other natural attractions of the tranquil village. 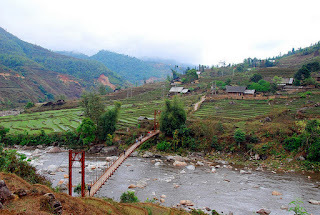 The Lavie Stream, together with Muong Hoa Stream, weaves through boulders, hills, mountains and terraced paddy fields of Tay village, which is nestled in the breathtaking Valley Muong Hoa, adding the finishing touch to the picturesque image of Ban Ho Sapa.